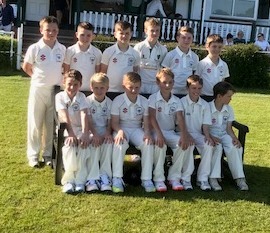 The first couple of weekends brought plenty of success for Gloucestershire’s county boys teams. See below for reports of the U17s, U17 Development, U14s, U13s and U10s first fixtures of the season. Gloucestershire U17s got their season off to a winning start with a hard earned victory against Warwickshire at Cheltenham College. 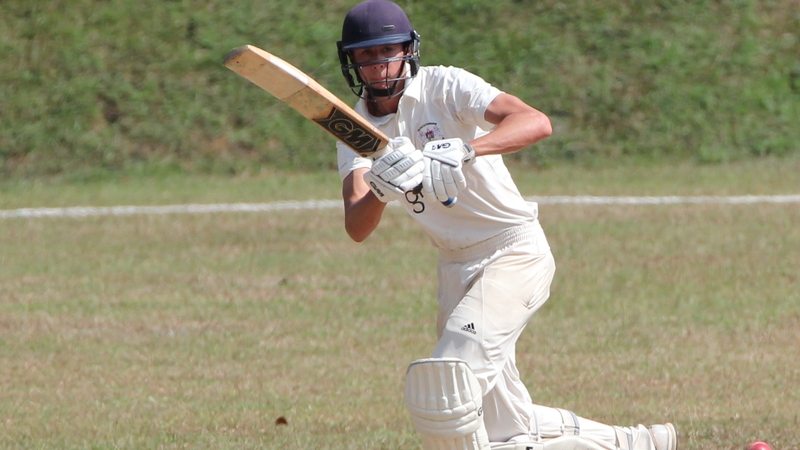 The win was underpinned by a fine maiden U17 century from Joe Dryell (Downend) (pictured) who was well supported by Matt Brewer’s (Bristol) run a ball 59. On a fine day skipper Ollie Price (Great and Little Tew) won the toss and elected to bat. Ben Charlesworth (Abingdon Vale) and Milo Ayres (Brislington) got to work immediately with some outstanding stroke play on the fast scoring College Ground. Ayres (8) fell with the score on 21 but Charlesworth looked well set with some sumptuous front foot drives until he fell LBW for a very well made 34. At 80-2 Brewer joined Dryell and both batsmen worked the spinners beautifully before the former was out for 59, bringing to an end a very fine 124 run partnership. Joe followed soon after for a very well made 100 (137 balls, 8 fours). The middle order failed to capitalise on the very solid base set by the top four and Gloucestershire closed their innings on 253-8. The Warwickshire top order started nicely, putting away any loose deliveries. Both Jack Clement (Hatherley and Reddings) and Dominic Goodman (Chesham) worked hard for the breakthrough and finally got it with the score on 41 when Goodman (1-33) trapped Banton (18) LBW. His fellow opener Rigg (45) started to unleash some powerful shots as the visitors rattled along at six an over. But he was eventually removed by Ben Charlesworth (1-14), whose excellent spell allowed Gloucestershire to get a foothold in the game at 76-2. The Glos spinners began to chip away at the Warwickshire innings, all four bowling with intelligence, backed up by some excellent fielding. Wickets fell at regular intervals, with the run rate increasing all the time. 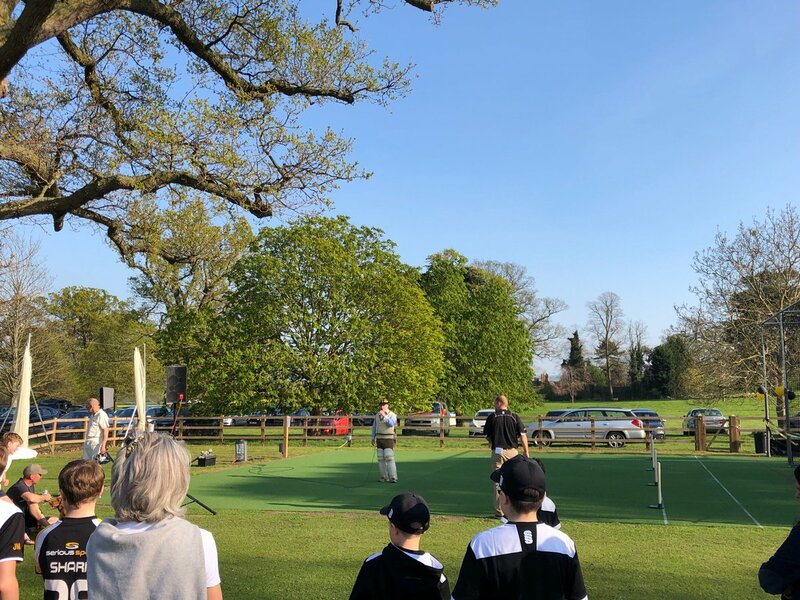 Harvey Jupp took 3-37 (Lechlade) claimed 2-39 and there was also a wicket each for Luke Charlesworth (1-21) and Ben Parker (1-21) (Winterbourne) who claimed the final one with Warwickshire 27 runs short of their target. Under 17 Coach Tim Hancock said: “It was a really good day’s cricket. Warwickshire are a strong side and to come away with a victory is a credit to how well the team worked with both the bat, ball and in the field. “I would like to congratulate Joe Dryell on an excellent century and his partnership with Matt was the cornerstone of our innings. Gloucestershire U10s got their season off to a winning start with an emphatic 143 run victory over Gwent. Logan Bowden (Thornbury) made a half century as Glos racked up 196-6 from their 40 overs before bowling the home side out for just 53. Back row, left to right: James Burton, Logan Bowden, Henry Driver-Dickerson, Harry Bryan, Harry Tegg, Jonty Taylor. Front row: Bertie Michael, Wilf Newton, Arthur Trotman, Arthur Hanson, Joe Tutty, Jamie Maxwell. Skipper Arthur Hanson (Bourton) won the toss and batted with Arthur Trotman (7) (Winterbourne) and Bertie Michael (11) (Kingsholm) making a solid start with an opening partnership of 28. When both openers fell in quick succession Bowden and Hanson steadied the ship with third wicket stand of 39. Hanson was dismissed leg before for 25, bringing Wilf Newton (Bristol YMCA) to the crease. Immediately, the tempo rose and runs flowed even faster, with Bowden playing some fine drives and Newton scampering between the wickets. The partnership added 52 runs in 10 overs to lift the total to 134-3. Newton fell for 20, but Bowden went on to reach a superb half century. When he was finally caught in the covers for 55 he left the field to rapturous applause from his team mates and spectators. James Burton (Hatherley and Reddings) provided a big finale to the innings, smashing three boundaries in an unbeaten innings of 37 as Gloucestershire finished with an imposing total of 196-6. Any hopes Gwent had of chasing down this total quickly evaporated as Harry Tegg (Frocester) bowled the opposition opener with the first ball of the innings. He followed this up with two more quick wickets. At the other end, fellow opening bowler Harry Bryan (2-9) (Bedminster) picked up two scalps of his own to leave the Gwent reply in tatters at 17-5. Jonty Taylor (3-6) (Winterbourne) the ripped through the middle order with three wickets in an over as Gloucestershire aimed for an early return to English soil. But the tail offered stubborn resistance in the face of some accurate bowling from the visiting attack. In the end it was left to Tegg (4-9) to return and help polish off the tail as Gwent were bowled out for 53. 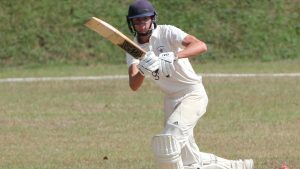 Tewkesbury allrounder Alex Oliver scored 69 and took 4-12 on his county debut as Gloucestershire Under 14s thrashed Millfield School by 158 runs. He top scored as the visitors made 257 before ripping through the home team’s lower order with his leg spin to reduce them to 97 all out. Earlier Glos won the toss and got off to a flying start through Praneel Choughule (Thornbury) and Nick Schubach (Dumbleton). The pair raced to 60-0 inside eight overs before Choughule, who had looked in imperious form, was bowled by Rao for 40 (24 balls, 8 fours). His replacement Stanley Brown (Cheltenham) fell for six soon after but skipper Schubach continued to look untroubled at the other end. The right hander looked set on 37 before he became the third wicket to fall, unluckily run out at the non-strikers end when an Oliver drive deflected off the bowler’s hand on to the stumps to make it 92-3. Glos rebuilt through Oliver and Joe Moss (Frenchay), the latter content to pick up singles as Oliver became increasingly aggressive the longer he spent at the crease. The pair added 58 for the fourth wicket before Moss was caught by Handford off French for 18. Oliver batted on, taking control of the innings with some powerful strokes down the ground. His 69 came off just 66 balls with nine fours and a six. He finally fell in the 36th over with Glos on 203-6. Charlie Brennan (Stoke Bishop) made a rapid 26 off 20 balls but the visitors failed to fully take advantage of the promising position they had been in and were bowled out for 257 in the 45th over. Despite losing a wicket in the second over when Brennan had Power well caught at slip by Sami Hamid (Winterbourne), Millfield took the momentum they had gained towards the end of the Glos innings into their batting, reaching 37-1 after seven overs. The introduction of medium pacers Jonny Edwards (2-16) (Frocester) and Sami Hamid (2-8) (Winterbourne) wrestled back control with some tight bowling. They were rewarded with two quick wickets apiece for the addition of just two runs as Millfield slumped from 55-1 to 59-5. The pick of the dismissals was a spectacular one handed diving caught and bowled from Hamid to dismiss the resolute Farmor who had taken 43 balls for his 13. Rao and Fitch added 31 for the sixth wicket before Oliver got into the action. Bowling with excellent control he built pressure and forced mistakes from the home batsman. He ended up with the impressive figures of 4-12 from 6.3 overs. Opening bowler Will Gilderson (Dumbleton) returned to take the other wicket to fall as Glos secured a 158 run win. 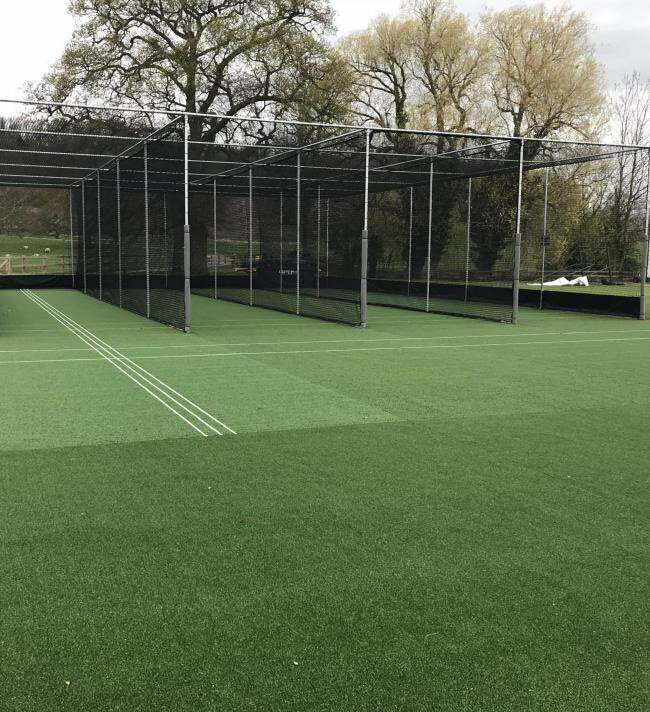 Gloucestershire U17 Development were outgunned by a fine batting display from Millfield’s top order in their first game of the season. Despite a fine all-round performance from Bedminster’s Max Tryfonos, Gloucestershire’s 248 was 30 runs light on an excellent batting track. Millfield reached their target in the penultimate over with seven wickets in hand. Glos won the toss and were off to a good start before captain Kiran Chakraborty (Lechlade) was bowled with the score on 47. The good start was partly due to some wayward bowling by the Millfield seamers who eventually gave Glos 67 extras. Another quick wicket brought Tryfonos and Jonnie Gunn (Lechlade) together at the crease and they set about rebuilding the Glos innings with a stand of 58 before Gunn gloved a skiddy bouncer through to the keeper for 19. Tryfonos carried on batting brilliantly, supported by Nathan Rose-Innes (Cheltenham) and a big total looked like it could be on the cards. But it wasn’t to be as Tryfonos fell to a sharp bouncer for a superbly made 92 and Rose-Innes (22) was run out shortly afterwards. Lewis Shean (22) (Bedminster)hit a couple of lusty blows but the regular loss of wickets left Glos slightly under par at the halfway stage. In response Glos got off to a good start with a wicket in third over. But Millfield’s Chirag Dhindsa and Lewis Goldsworthy soon picked up the rate as the Glos seamers got their lengths wrong. At the first drinks break Millfield were 120-1 from 17 overs. The introduction of spin pegged them back, in particular the left arm spin of Tryfonos. He picked up the wicket of Dhindsa for 77 and finished with figures of 1-37 from his 10 overs. Goldsworthy continued on and was finally stumped off Chakraborty for 96. Some further tight bowling from Gunn and a returning Jack Worgan (Corse and Staunton) delayed the victory but in the end Millfield saw it home with an over to spare. U17 development coach Ralph Hardwick said: “Today was a good learning curve for some of the younger players to get to know the sort of level expected at U17 level. It was unfortunate we couldn’t quite get one big partnership at the top of the order that would have propelled us to a 280/300 score which would have probably won the game. 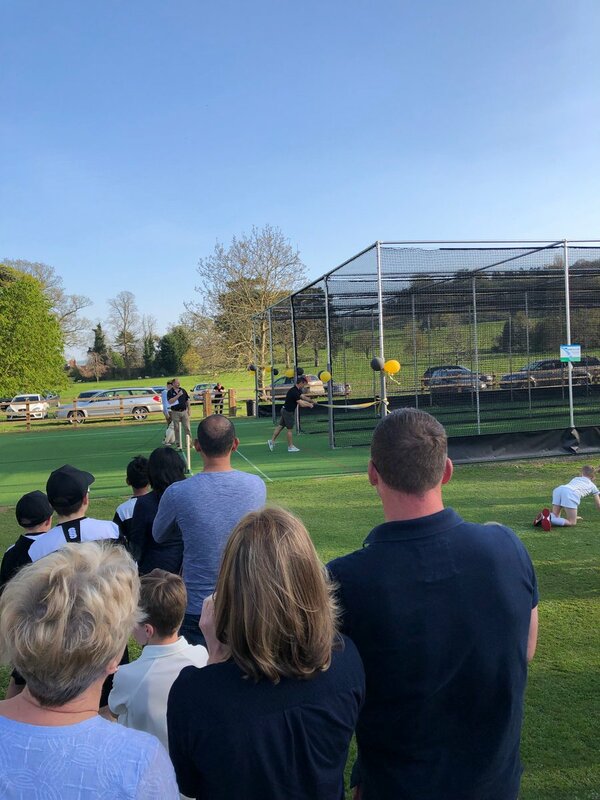 Charlie Brook (Cirencester) and Isaac Tag (Dumbleton) were the stars of the show as Gloucestershire U13 beat Millfield School by 79 runs in their first match of the season. Coming at number nine Brook smashed 50 not out to take his side to a total of 152-7 before Tagg (5-14) demolished the Millfield top order, removing the first five batsmen as the hosts were bowled out for 73. After losing the toss and being put into bat, Glos lost early wickets but recovered with contributions of 35 not out from number five Tobias Rice (Lodway) and 18 from Soban Irfan (Downend) before Brook came in and stole the show. In reply Millfield were blown away by Tagg, with only their captain and number seven Harrison (45) showing nay resistance. After him the next highest score was just five as Glos cruised to victory. Rice (2-2), Winterbourne pair Jack Studley (1-14) and William Maxwell (1-2) and Taylor Ireland (1-7) were the other wicket takers.